There’s no time for Diageo to cry into its Guinness. The $74 billion maker of the Irish stout, Johnnie Walker scotch and other liquors can mostly only watch from the M&A sidelines as libation rival Anheuser-Busch InBev brews mega-beer with rival SABMiller. Instead of just waiting for big, closely held brands like Jack Daniel’s or Bacardi to come available, Diageo is seeding booze entrepreneurs who are building new ones. Doing so quietly is the twist. The company’s Silicon Valley spirit was submerged deep in its day-long pitch to investors in New York last month. In slide 55 of a 66-page presentation, Diageo Chief Executive Ivan Menezes described Distill Ventures as a one-of-a-kind “incubator and accelerator” in the industry. After sampling some 2,600 brands and interviewing a couple hundred founders, Diageo has made eight investments in gin, whiskey, vermouth and other alcohol-related startups. These deals are far cheaper than chasing, say, $22 billion Brown-Forman, maker of Jack Daniel’s and Finlandia, which is controlled by the Brown family under a dual-share structure. In one common arrangement, Diageo will put up about 175,000 pounds, or $264,000, for a 20 percent stake. Follow-on investments can run into the millions, especially if it involves more capital-intensive aged spirits. To ensure entrepreneurs are left feeling in control, Diageo often structures the extra injections as non-voting preferred shares or convertible loans that don’t convert until acquisition. Distill Ventures can help small companies with the typical growing pains of buying glass and navigating myriad import regulations, but creating a global brand in the highly competitive drinking realm is tough even for a powerhouse like Diageo. For example, it took more than a decade for it to build a little-known Kentucky whiskey called Bulleit, which was acquired as part of an $8 billion deal for Seagram brands in 2001, from fewer than 10,000 nine-liter cases to 800,000 this year. One of Diageo’s secret ingredients is discretion. In technology circles, startups are all too eager to have support from backers like Andreessen Horowitz or Google made known far and wide. Similarly, booze rival Constellation Brands announced in August its minority investment in Crafthouse Cocktails. 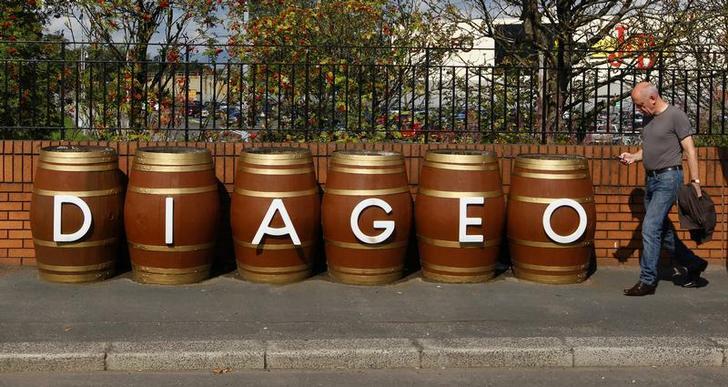 With the preference these days for all things “authentic” and “artisanal” Diageo reckons it is better off keeping its big corporate self in the shadows. For now, it won’t disclose any of the small brands it is backing. To ensure success, that may well give them their best shot. Diageo held an investor day in New York on Nov. 11.